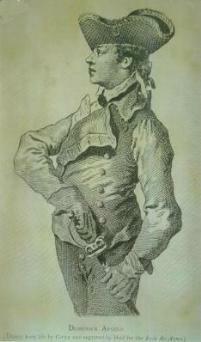 Born in Livorno, Italy, in 1717, Domenico Tremamondo became the celebrated swordsman of mid-eighteenth English society. He earned fame not only with his brilliant skills as a swordsman but also because of his famous fencing school in Soho Square, London. In 1763 Mr Angelo, as he was named in England, published a manual of defence called Ecole des Armes, a folio very successful in its time and a collector’s item today. Domenico’s descendants are many, and in different parts of the world. This site lists, at present, the New Zealand branch of the family and there are hopes that this can be extended as data is collected. If you have information concerning Domenico or his descendants please contact us at Lawson St., Dunedin, NZ. Thanks to family members for providing information and especially to Shelley who has been a wonderful help.